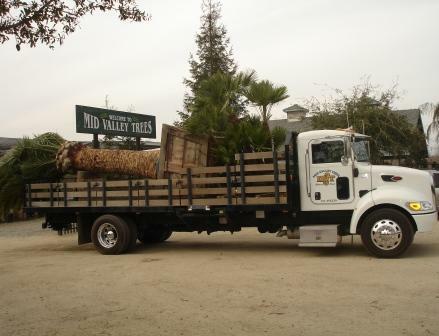 Our custom built Peterbilt is able to load and unload trees of any size. Our new air ride Peterbilt will provide the best trucking for your tree destination. MVT is able to drop a 36″ box tree, which weighs up to 1600 lbs without a tractor or a crane thanks to our 2500 lb lift gate! Hope to see you soon.